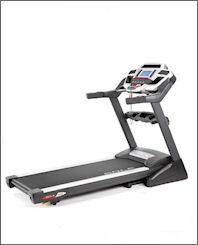 Sole Fitness treadmills let you enjoy commercial-level treadmill performance in the comfort of your own home. 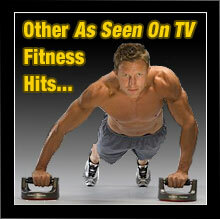 They’re loaded with innovative features that will really get you going on your goal of getting fit and losing weight. Sole Fitness machines are superior, commercial-grade products, and Sole Fitness stands behind the quality of each and every one. Your satisfaction is completely guaranteed! 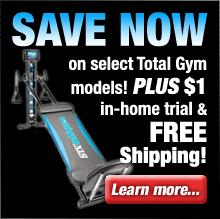 Just purchase your machine (direct from Sole Fitness) and workout for up to 30 days. If you're not 100% satisfied with the results, simply contact their customer service department for a Return Merchandise Authorization (RMA) number, return the machine (including any accessories) in its original condition and packaging to receive a full refund, less shipping & handling and an 8% restocking charge. All RMA numbers must be requested within the 30 day window, from time of delivery. Sole Fitness treadmills are built tough for commercial environments but are right at home in a residential setting. 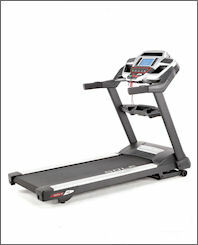 They offer numerous innovative features and benefits such as Sole's exclusive Cushion Flex Whisper Deck for superior comfort, heavy-duty precision welded frames, integrated message boards to keep you fully informed throughout your workout, and what is arguably the best folding treadmill design on the market. Sole Fitness treadmills are a smart choice if you're looking for a well-built and feature-rich home fitness solution that offers commercial-grade performance for an affordable price. 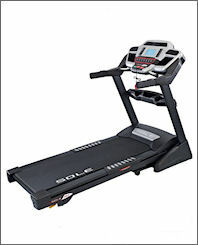 The engineers at Sole Fitness are constantly striving to make their equipment better and more effective while still being inexpensive enough for the average family's budget. 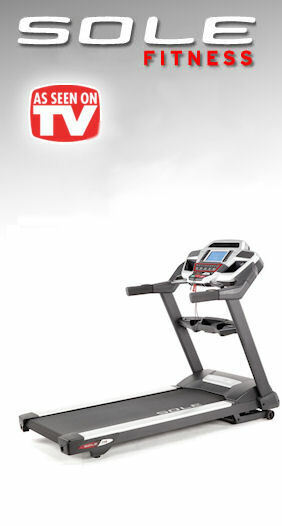 If you're looking to save money by getting rid of that expensive gym membership without sacrificing the quality and effectiveness of your workout then give a Sole Fitness treadmill a try. With their 30 day satisfaction guarantee you can't lose!